Invitation: musical voyage to Catalonia….. 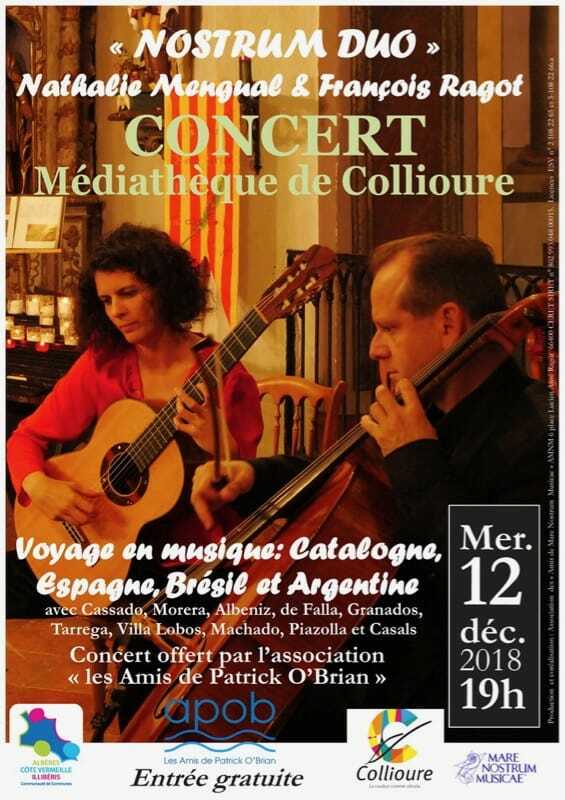 Invitation: Wednesday, 12 December 2018 at 19:00 at the Collioure Médiathèque to a musical voyage to Catalonia, Spain, Brazil and Argentina. 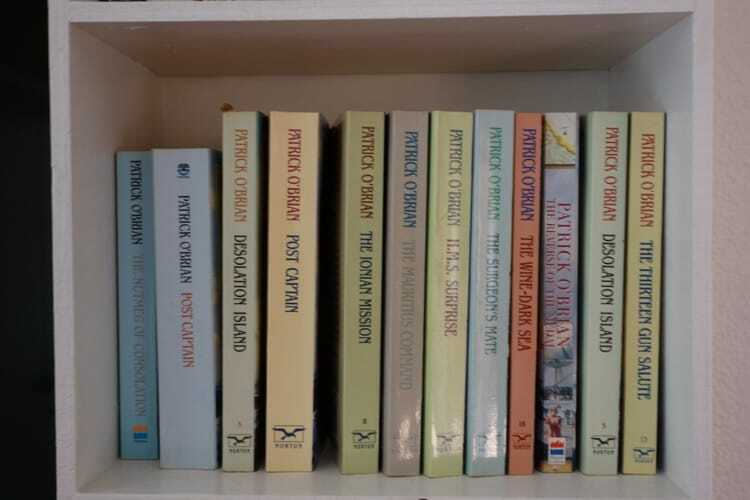 The Friends of Patrick O’Brian is pleased to invite you to a musical voyage to Catalonia, Spain, Brazil and Argentina – countries “visited” by characters Aubrey and Maturin in the series of novels written by O’Brian, (including the most famous, Master and Commander, adapted for the cinema). In collaboration with Mare Nostrum Musicae we will present the duo François Ragot and Nathalie Mengual. The concert will be followed by a toast to O’Brian on the anniversary of his birth. Used in english to describe cutting-edge or innovative projects, ‘avant garde’ is actually a french military term for “advance guard”, as in the “first to attack”.